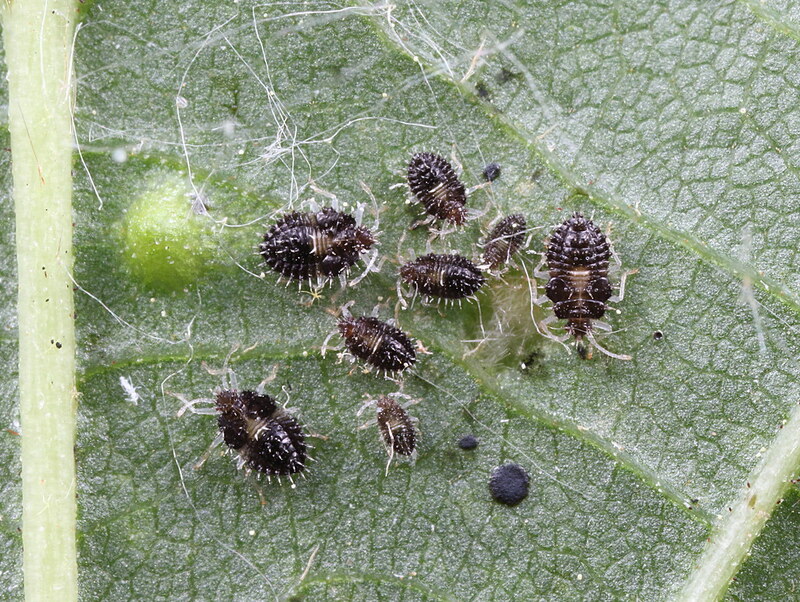 Members of the Tingidae family in the Hemiptera are commonly known as lace bugs. These small insects feed on plant juices, and they get their name from their lacy pattern of wing veins. 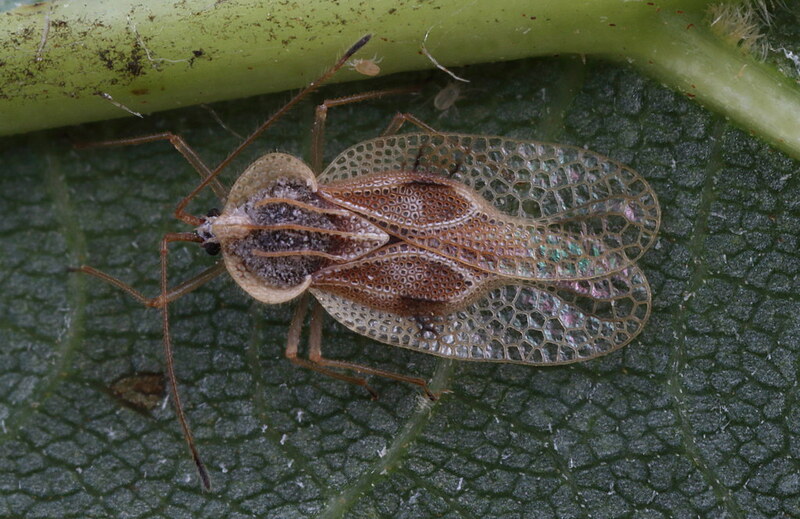 Here is but one species, Gargaphia tiliae, aka the Linden lace bug. The common name indicates that this particular species is found on Linden trees. That is fairly typical, since different species have a fairly specific host range of plants. I know of about 5 species in my area. Here is a bunch of thumbnail pictures from BugGuide which at once shows a number of different species. So why should everyone look for these? Well, obviously they are beautiful. What is more, although they are small they are pretty easy to photograph since they are usually not inclined to walk around. I bet that several of the folks here could take these into the studio, on a fresh host leaf, and do stacked photographs of live ones. Dead ones too, of course. So if bugs like these are found, you only need to come back in a couple weeks to see adult lace bugs! A second method to find lace bugs is to use a sweeping net in a field. This might be the quickest way although you would not have information about their host plant. nice captures, only ever seen a couple I found by accident but hopefully find more with your tips. They seem rather specific to certain host plants, with certain species on certain plants. Look for the tiny black dots on the undersides of leaves too. That means they are around, or will be around when they grow up. Yet another series of fantastic images.